What do you mean by Rheumatoid Arthritis fevers? When the Mayo Clinic defines Rheumatoid Arthritis, they mention fever. You also will see “fever” included if you read Mayo Clinic’s list of Rheumatoid Arthritis symptoms. Fever is listed by John’s Hopkins as a symptom which precludes “clinical remission” in their “Diagnostic Guidelines.” The American College of Rheumatology mentions fever on page two of their explanation of RA. If you read historical descriptions of RA, you will notice that fever is mentioned along with redness or rashes and crippling pain. Typically, a rheumatoid fever is a low grade fever. A low grade fever is usually considered to be less than 100.4 degrees Fahrenheit. A normal body temperature for most people is 98.6, so a low grade fever could be a temperature between 98.7 and 100.4. What causes Rheumatoid Arthritis fevers? RA inflammation is related to cytokine activity. Fevers are related to cytokines, too. Researchers believe that the typical fevers of systemic onset Juvenile RA are related to serum levels of “the proinflammatory cytokine” IL-6, according to the Journal of Rheumatology. According to this exciting article from the University of Colorado Denver, it’s IL-1. They diluted a form of IL-1 a million times and it still triggered lymphocytes that cause fever. In 2009, as a result of his work on this project, Dr. Dinarello won the largest award in medicine or science in the United States. Why doesn’t everyone know about Rheumatoid Arthritis fevers? It is typical for people with Rheumatoid Arthritis to have a fever. If the RA is not “controlled” or the patient has flares, there will likely be a fever as one indicator of that. So, why is this “textbook” “typical” symptom of RA discussed so little today? Why is it that fever, the one known typical RA symptom that is easily objectively measurable, is hardly measured? Whenever I take my child to the pediatrician, the nurse takes his temperature. However, I have never had my temperature taken at a rheumatology appointment. Once, I requested it, and the MA became very frustrated because she did not know why. She said, “We don’t do that here.” Why not? Isn’t a fever a sign of inflammation in the body? Wouldn’t it be important to use body temperature patterns as a measure of RA activity? It seems to associate more with disease activity than blood tests do. How often does your rheumatologist take your temperature? How often do you have a low-grade fever? 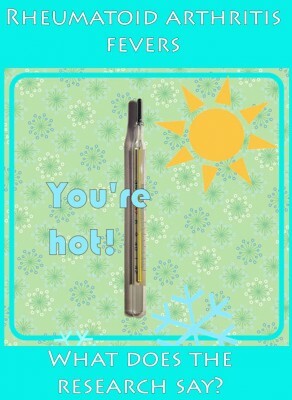 Do you own a good digital thermometer? It seems like every time I flare my temp is actually lower than normal. I have noticed fluctuations in my temp but nothing that actually seemed to have any kind of pattern to it. I definitely had fevers before being diagnosed. Low grade and flu- like feeling. Once I got diagnosed I was started on Hydroxychloroquine which worked slowly to help them I think. Of course I am now on Methotrexate and Enbrel and a year later, I haven’t had a fever in several months. I noticed low grade fevers early on with my RA. My rheumy at the time made me feel like a hypocondriac. I finally noticed a pattern with the fever and realized it was my body telling me it was way over it’s limit of functioning and I needed to just STOP. I would crawl into bed, crank my electric blanket to high and hibernate 24 hrs. Although this didn’t help the RA it did give my body time to fight the fever and give me strength to go forward. I know this is not possible for everyone, but it did help me. Yup I get RA fevers!! At first I thought It was just a fluke but nope I get them often and usually right before I have a flare up. And I’m also like Cheryl, I am either burning up everyone in the house or freezing them to death!!! It’s difficult for me at work cause they keep the temp on the cold side so when I’m having what I call one of my cold spells it makes it very hard to be there and focused on my job. Most people I work with think I’m crazy cause I’m sitting there wrapped in a blanket, jacket with a hood on and gloves that have the ends of the fingers cut out. I do look weird when everyone else is wearing normal clothing but my employer understands and works with me on things like that. So not only is it difficult for me to work with the pain but I also have to deal with this part of it too. I’m very thankful that I can still work but I do wonder each day how much longer I can keep working. I’m a very positive and up beat person and I have many blessings in my life that I’m so thankful for. One in particular is a new husband that not only married me knowing that I have RA but is extremely supportive of me and is there for me when it’s a difficult day. I get the fevers as well. I just spent the last couple of days fighting one. This one was not bad, I get the ones where I feel like my spine is shaking I am so cold. I get my temp and vitals taken every time I see the rheumy for my Orencia infusion. Then I also get to see the doc before and after the infusion. THANK YOU! My adult son calls me a “heater” because he knows if he needs warmed-up I’m always good for a little extra heat. Now I know that it’s due to my RA. Who knew? My temperature is taken same way as Carol’s, at every RA appointment. I was told by my RA and GP, that if temperature below 100 is most likely just from being hot or for some other reason. RA temperature usually very persistent, it doesn’t comes and goes, it there. Also they say that patients with very mild cases of RA don’t get fevers and this is why many of them don’t even know they have the disease. Same as stiffness, inflammation or pain. I have RA temperature for many years, despite treatments. I though if I am on chemo or biologics, it will get better, but its not. In fact, a week after each infusion, I have higher fevers with terrible chills. My every day fever, higher at night- from 100.3 to 100.8 and mostly with chills. I was told 15 years ago that this is RA fever. This is why so strange to me that many people here surprised that RA patients have fevers. Not your fault, the Doctors have to tell you this but what can we expect if I heard once from a local “star”, RA Dr who has big following that RA is same as arthritis, but involves soft tissue. When I told him that I read about RA involves organs too, he smiled and said: this is not true. And I am not kidding! I had for so many years every nodule on my lungs enlarged and fluid on them as well; they sent me to see oncologist, pulmonologist and nobody ever told me that this is RA. Same with my heart; have pace maker put in, heart catharizations, many tests done and nobody ever put things together to let me know that RA “eat” the heart muscle and caused valve problems. Only after years of struggling with all NONE knowledgeable RA doctors, I met this wonderful RA doctor and after 2 hr app I was diagnosed with severe/advanced RA and possibility of Lupus (often advanced RA “brings” Lupus to the picture) and without any blood work, just by listening and evaluation. After lab works, she called me in 3 days with diagnoses: RA+Lupus. She is only one who told me that my lungs and heart affected by RA. Where all other doctors been? I wrote a nice letter with my diagnoses to all RA and GP doctors I went without any success. I wrote to them what I went through, how many body damages I could avoid if they would take me seriously. I said I am taking time to write this letter to you only for the sake of other people who come to you for help; maybe after reading my story you will listen to them and try to help instead of dismissing them. I told them that its a shame to have such luck of knowledge nowadays when you can learn from Internet if not from classes or books. I let them have it. I hope they will help other sufferers better than they done with me. My temp is taken every rheumatologist visit and also before and after Remicade infusions. Normal is between 99.5 and 100. Oh yes. I have had several RA fevers! My poor husband had had to endure the all kinds of temps. in our home. I have had to have the thermastate set as high as 85..plus use the heating blanket set as high-(both at the same time)- and would still be frezzing. My husband would say… “It feels like the bahammas in here” He would be so hot lol. One time he litterally laid on top of me to try and get me to stop shaking. And i am still back & forth with my body temp all the time. One minute i’m cold and the next hot! Everyonce in a while I run a low grade temp… 99.1 say but its very very rare. I feel like I get fevers every day. I always seem to be generally warmer than other people, despite the fact that my normal temp is around 97.6. It’s like I get too warm and I can’t cool down. When I was very young and first sick, I remember have a few fans on me, sitting around with very little on in the way of clothing, and still being too hot. I once even had a fever of 106.8, accompanied by convulsions. My rheum’s office always takes temps every visit and 2 times before and after Remicade. I have a theory that meds like Remicade, since they suppress the immune system, should theoretically HINDER us from getting fevers, since fevers are immunological responses, but I have gotten ill and been feverish while on Remicade and dMARDs. One more thing…if your normal temp is consistently 96.x to 97.x, you should be tested to make sure you aren’t hypothyroid. My husband was recently diagnosed with RA. When he has a really bad flare up his temp goes up to 102. But it seems like he runs a low grade fever everyday. His Dr suggested to take Motrin, but if the fever goes above 102 he should call him. This seems to help him. I’d like to say “Thank You” for your website. It has really helped me understand what my husband is going thru. I don’t claim to know it all but when I’m upset or confused I know I can come to your website. Eeeeeek. Before I was diagnosed I had a constant and steady fever of 99.8 for three months. Day in and day out. I notice since my meds have somewhat kicked in, I run a cool 99.2. Kelly, my rheumy’s nurse checks my temp, blood pressure and pulse at every visit. I have RA fevers less frequently now than when I was first diagnosed. The first several yrs after being diagnosed I ran low grade fever at least once a week. Now I don’t find myself feverish but maybe a couple of days every month. No rhyme or reason to when I might have one, except that those are the worst days for me. For the first couple of yrs after being diagnosed I thought it was infection or a result of taking gold injections. I had not been told by anyone about fever being part of the disease. Once I knew that’s what it was from, I knew to rest and give myself a break when I had one. 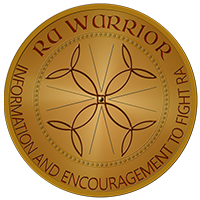 Thank you so much for posting this – I love to share your blogs on my FB wall and even though not a lot of people respond or comment, I know that people who don’t suffer from RA are reading them and learning about this disease and therefore, about why I am the way I am! Thank you so much! My normal was 98. The years I was misdiagnosed I ran 99.3 and no doctor ever responded when I asked. I always felt weak at 99.3 but they said it really is not a fever under 100 degrees. I find low grade fevers very uncomfortable! Ironically I had it yesterday and lots of pain through the night. Yes, it seems a lot of people are saying they are uncomfortable. My rheumy always takes my temperature. And I ran a low-grade fever and felt flu-ish off and on until my inflammation was somewhat controlled. My hands/feet and other joints are still often warm to touch even if I don’t have fever all over. And I get feverish during a flare. Thank you for this post Kelly! As you know I’ve been baffled by a fever I’ve had for about 2 months. I was not able to find much information in my google searches. I had these fevers when I was diagnosed a year ago, but they let up when MTX and Enbrel were established. When they came back it was followed by mild to moderate joint pain. Recently the fever got even higher, then came a higher level of joint pain. My ESR and CRP blood tests were a little higher, but remain in the normal range. I don’t have any noticeable swelling. If a doctor were to judge my disease activity on swelling and blood tests alone, then I would be considered in remission. Luckily my doctor takes my temp and trusts my judgment on my pain level. He believes Enbrel is no longer affective for me. I have been on a course of low dose prednisone which did not bring down the fever. He believes if the Enbrel was working, the prednisone would have brought the fever down. Anybody else have experience with this? I found this interesting from one of the links: “In several studies, the inhibition of TNF action has enhanced fever.” Does this mean a TNF blocker such as Enbrel can enhance fever? Or did I misunderstand? 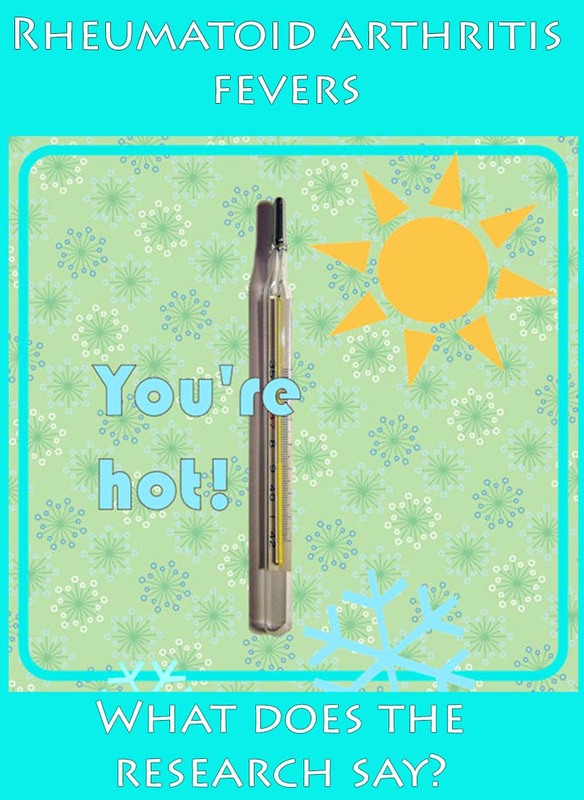 I have a great Rhumy that takes my temperature every time I am there. I can tell if it is elevated by the follow up questions, how are you feeling, any trouble breathing, etc. My husband can definately tell how I am doing by touching me because I am hot to the touch, not localized. I find the fevers one of the hardest things to deal with, if you are feverish it is hard to concentrate and you just feel crummy. The first symptoms of RA for me were wicked fatigue and low-grade fevers (up too 100.0 or so). The joint symptoms showed up a few years later. My temperature is now a very good indicator of how my RA is doing. When my RA is out of control, my temp will shoot up to 100.4 or so several times during the day- with the accompanying chills and sweats, of course. Tylenol, Motrin and Advil do not do anything to control the temperature swings from RA- prednisone is the only medication that will do this. I generally feel the worst when I have the chills as the temperature rises; I feel better when I have the sweats as the temperature drops. I have a good digital thermometer at home, but my rheumy’s office never checks my temp during regular visits. I used to have the change of life hot flashes but when RA moved in they mostly went away. Now I’m cold a lot of the time. I think RA just went and busted my internal thermostat completely. Maybe the hot flashes I still get are more an RA fever related thing? I have low grade fevers on most days. It’s kind of funny. My face will be all flushed across my cheekbones and nose. My ears even turn bright red and are as hot as fire! Sometimes, if these fevers last continuous for about 7 or 8 days, my ears will peel just like I have been sunburned. They never seems to be a cause – like a cold, etc. For them. Very strange. But then what else is new with RA? Amy, before I was established on mtx, I had severe flushing. I am not fair & never flushed in my life until RA. Then it was severe & sudden. Red & HOT for a while like sunburn. I still have that darn flushing red face every day of my new RA life! I just came back to read if there was anything new on this blog post. I was on a trip during the facebook discussion in January and missed it. Kelly, thank you so much for doing this blog. I know you were prompted to do this post by my constant questions on fever. I had been obsessing over it a quite a bit because I couldn’t find answers. This has been so helpful, I can’t thank you enough. Reading everyone’s comments certainly makes me feel I’m not alone. I continue to have the fever daily, 9 months since my husband noticed and made me aware of it. Initially after diagnosis in 2009 and starting MTX and Enbrel,I believe my fevers went down for awhile, but to tell you the truth I never took my temp. back then. Some lucky weeks the highs are only 99.3, but mostly between 99.5 and 100. I flush red everyday. I keep the house cool, eat ice cream everyday 🙂 and keep cold packs in the freezer. Never have the chills with my fever. My joint pain is all over the chart, up and down and all around. Not constantly debilitating like yours and some others, only sometimes. My inflammation levels were normal last time they were checked. My fevers don’t check with my inflammation levels for permission to go crazy, lol. Like the others here, before RA my temp was always on the low side of normal and fever very rare. I insist on my temp being taken at every doc visit be it rheum or GP. I want this on record. My RA would be much easier to deal with if I didn’t have the fevers. It forces me to sit. Hmmm, maybe it is a protective device from my body to make me rest, otherwise I would never sit down. That was me before RA. Low grade fevers have been the norm for me since my symptoms started, but my rheumy seemed puzzled when I mentioned them the first couple of times. Finally I said one day, “Low-grade fevers ARE part of RA, right?” He said the only way we’d get fevers is if the inflammation was out of control. Uh,….. no. My temp is taken there before every infusion, but not at the doc visits. When I was a child and through my early teen years, my temperature always ran on the low side (high 97’s or low 98’s). I never ran the standard 98.7. If I ever hit that point, it meant that I was running a fever and getting sick. Ever since I started having arthritis symptoms (during my late teens) my temperature now runs steady in the low to mid 99’s. It’s interesting that many doctors have simply consistently assumed that I was always “coming down with something” EVERY TIME I came into their offices. I was very active in sports until my 20’s, when the joint pain made it impossible to continue. I have endured broken bones, shoulder and knee dislocations, laceration, bruises, surgeries… you name it. I know what pain is and survived all those injuries with only minor complaints. The pain I now feel every day is sooo much worse than those earlier injuries and surgeries… it hurts to not be taken seriously by both doctors and friends. If I truly started complaining or acting on the outside as terribly as I feel on the inside, I would lead a sad and depressing life. Just because I am optimistic, take my health seriously, and don’t complain (I would rather focus on the sunshine, even if it is hidden by clouds) IT DOESN’T MEAN THAT I DON’T HURT AND I’M NOT SICK!! I hear you, Jennifer. So, you have Plaquenil but not a definitive diagnosis? What a mess. Poor you. Good luck with the new rheum doc! I’m in tears having read this. I feel somewhat “validated”–if that makes sense. It’s been over a year now since onset of symptoms for me. One of my first of these symptoms was a low grade fever. Since it arrived with my joint pain, I thought I had the flu. All my life I have seldom had fevers—even when fighting infections. In fact, my “normal” temp has always been between 97 and 98. Now that I have whatever form of arthritis I have, and since it is still not responding to meds, I run a low-grade fever at least once a week. It is anywhere from 99-100 and it makes me feel like crap. Nobody seems to believe me that they exist. My rheumatologist never takes my temp and even referred to them as “subjective low-grade fevers” in my medical chart. Mine fevers seem to come about if I’ve “overdone” it. It’s so freakin’ sad, but grocery shopping even brings them on. Today I was feeling pretty decent, until I tried to treat myself to a little Hobby Lobby excursion. 20 minutes into it, I felt the fever hit me, and I had to go home because I felt so bad. I took my temperature and it was 99.6. My joints burned for the rest of the day. I was miserable. I’ve been in tears all evening. My quality of life stinks. I can’t enjoy my kids these days. My husband says I’m no fun anymore–and he’s right. I hate having a condition with no name that nobody can see. I’m seriously sick of feeling like a hypochondriac just because my blood work was all “normal” last year. I’m not well and I want my life back. Beth, don’t say sorry – all of your points are legitimate. And I’m glad you shared this. It could help someone else who comes along looking for answers & wondering if they are the only one. Hang in there. I feel for you. I was there for a couple years after my diagnosis of RA. Everything hurt – getting dressed hurt and I would cry and cry. I slept half the day, cut my hours at work. Ultimately, working with my RH Dr, and reading everything I could – and trying things like elimination diets, exercise, water aerobics, stretching, yoga, ice, heat etc…. I did slowly start to get better. I still have to be careful not to overdo, because then I get a fever, and am beat and even now, about 2 times a year my body just stops and I hit the sofa for 2 days. I didn’t understand it at first, but I now know. Be your best advocate, talk to your Dr and if he/she can’t help, move to another one. Read a lot, be strong inside and know that you will find peace and your body will slowly start to respond ultimately to something and you’ll get a lot of your life back. Maybe not all of it, but enough to feel satisfied and to have your family back. I have been having fevers for the last year or longer I whould think i had the flu with a low grade fever and my knees whold hurt or my shoulders I was so tired and ill feeling for a couple of days then it whould come and go every month or couple weeks I couldnt undertand why I always got the flu it wasnt till s few months ago that I had the fever and the pain never went away it then moved to all my joints and I couldnt move my husband had to carry me in couldnt walk I was so swollen i couldnt make a fist so they did blood work andsho rtly after i was diagnosed with ra all blood work came back positive i have nodgels in hand and I am on mtx injections for now When i am having my really bad days i still get fevers and I feel so tired just ill i also get hot flashs all the time I am 32 so i know its not menopause!!! my rheumy just asks me how my fever is doing and when and how often I am going to start on a new med with the mtx so I am hopeful for some better days soon!!! I always have my temp taken at my rheumy’s office. It’s usually normal. But I almost NEVER run fevers; I could count on one hand how many fevers I’ve had in the last ten years. More often my temperature is low. As others have mentioned, I typically run a lower temperature 96-97 degrees, about two degrees lower than the standard 98.6. However, this also can be another symptom of chronic inflammation. So when I go to the doctor’s with an actual low grade fever, my temp is 98-99 degrees. I get sick of arguing with doctors about whether I actually have a fever, so I keep a temperature log in my symptoms journal. May, that’s a great idea. I plan to start doing that too. Does anyone have spiking fevers (especially at night) and rashes? If so respond to this post, please, and see if our experience can’t help. There is a very rare condition which presents A LOT like adult onset juvenile rheumatoid arthritis (Stills Disease) but is accompanied by spiking fevers and rashes. I am convinced that it is probably too often misdiagnosed as Stills or RA. In reality it is called Schnitzler’s Syndrome and many of the symptoms can be alleviated with a biologic called Anakinra, which is an IL-1 inhibitor. I hope some of this information helps any of you out there. Blessings to you all, and I hope you soon find relief. 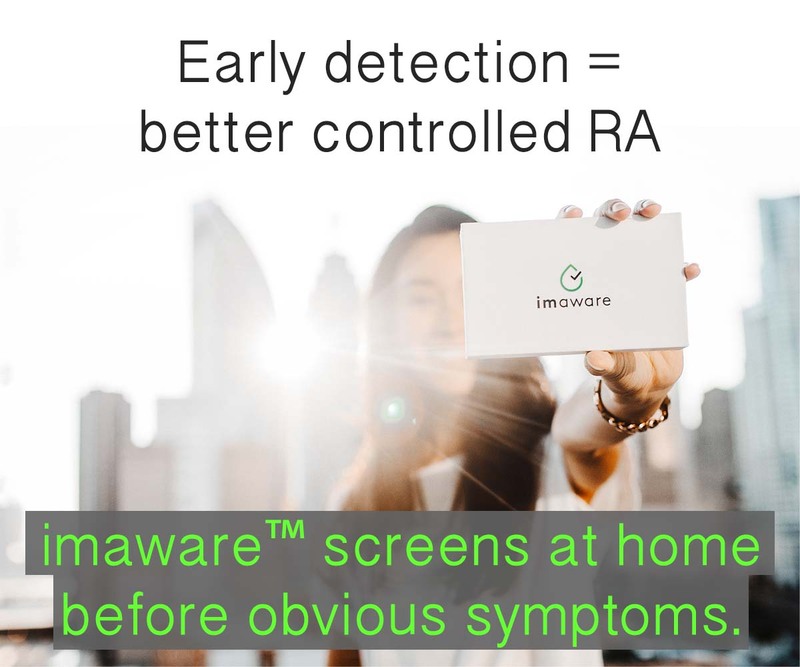 Kelly – in reading this posts, one alarming trend is that a VERY large percentage of RA sufferers have “normal” temperatures that are 1-2 points below the norm of 98.6. This fact alone should be brought to the attention of rheumatologists to study why this is? Is hypothyroid a pre-condition, or co-morbitidy of RA? Of course, if we have rheumy’s who don’t even know enough to take a patient’s temperature, why look into the wealth of “low normals” among us? I findi it interesting – and, yes, my “normal” is 97.5 degrees, before I got sick. I agree Judy, I was surprised by that too. Not sure what to make of that yet. The fevers are what made me go to the doctor in the first place! My rheumie takes my temp every time I see her. I haven’t had the fevers too much since starting the MTX and predisone. When I do have them it’s never above 100.2 and last 8 to 48 hours. Good doc, Debi. I’ve never met a rheum doc who takes temps, but it’s good to read hear that some are doing this. Also, if fevers are common, maybe we should do it at home at a regular time so we can report it. So you think your meds have helped them? I’m also in the boat of having a usual low temp in the range of 96-97. When it’s up to “normal” I usually feel like I’m running a fever–chills, aches, etc. I’ve talked to my rheumy about it and she wasn’t concerned. Seems like that’s kind of the pattern.. it doesn’t fit their mental model, therefore it’s nothing to worry about.. maybe it’s not. I’ve never had my temperature taken during office visits, though. Blood pressure and pulse, but no temp. I’ve always kind of thought that was weird. This concerns me: “it doesn’t fit their mental model, therefore it’s nothing to worry about.” Wonder what that low normal means – so many have said that. I’m not sure what the low normal means either. I’m a university researcher, so I did some literature reviewing for it, but didn’t find anything specific to RA and low temp–just fevers. Low temp is sometimes associated with hypothyroid, but I was checked for that and it was fine. Doesn’t make much sense, I admit, since an autoimmune reaction should by all rights create an increase in body temp, so it might not be related to the RA, but I kind of think that if you’re usually running 96-97 and then start running at 98-99 it feels like and probably is a fever. The mental model thing I think is a barrier for a lot of docs (and the rest of us!). They have a set of criteria and associated diagnoses, plus their experiences with patients, and when something doesn’t fit (e.g. RA without swelling or RF on blood work) or is novel, some seem to be more inclined to dismiss the complaint rather than doing further investigating. I think this is especially the case when you have a co-morbidity. In that case, it’s easy to blame the non-fitting symptom on the other condition(s). I also frankly think that some docs are inclined to disbelieve (especially women’s) complaints of pain, to believe they are caused by emotional problems, or to suspect drug seeking. They learn a lot of pretty negative things about patients in med school, and some seem to keep that part more than others. Kind of interesting. I would definitely fall into the cold pattern across the board. I wonder if RF negative folks (like me) more often fall into one or the other. I don’t quite fit either, but have some of both, so I guess they need to add a “Warm” category! During flare ups I always have RA fever. My rheumatologist says that the only RA patients who have fever are the ones with juvenile RA. Not sure how to reply to that, Tammy. What do you think he means? Does he mean patients who claim to have RA fever don’t truly have it? Or does he mean they actually have JRA? She told me that the only people who experience fever with RA are children..???? Low-grade fever has been my bugbear with RA. I have a low body temp, usually averaging around 97.4 This has skewed my health care my entire life. Once my hypothyroidism became somewhat controlled, I thought my body temp had normalised, only to discover the low-grade fever side of RA. This has been particularly confusing for me, since my doctor wants me to stop taking my MTX if a fever persists more than 2-3 days. I read up on the reasoning and understand the rationale, but it’s still frustrating. Let me tell you: Hell hath no fury like that of a minorly febrile, hormonally deprived, female RA paitient in a flare! I often run low grade temps. When I do, one side or the other of my face turns bright red and feels very hot to the touch. Seems very strange to me but none of my many doctors seem to think that matters in the scheme of RA. They do occasionally take my temp. at my rheumy’s office but it is with that thing they run across my forehead, I don’t have any confidence in it. I prefer the one they put into my mouth. But due to my hypothyroidism, my temp. usually runs around 97.6 and they don’t realize that a 98.6 is elevated and that a 99.6 is really high. Even when I tell them, they just look at me funny ? :-) Go figure. And I have done the monthly temp and taken it to them for my chart but don’t think it ever got to the chart. But I really believe the fever plays a huge role in RA and inflammation. Hope this helps. Jane, I also had the bright red flushing all the time at the onset of my RA ( the months before being established on dmards). I’d never had it before in my life & I’m a person with darker toned skin who doesn’t blush usually. It was so obviously part of my RA onset with a rash, fever, symmetrical sudden joint pain & disability. Yes, it does help every bit of evidence we add here. Thanks. I run a low grade temp. every time I have a flare, it really makes me feel worse. My doctor takes my temp. every time I go in for a visit. My CRP & ESR are always elevated! He says that is why I run the low grade temp! I can always tell because my face will flush, usually on the side of my body that is more affected, it will be really hot. This RA is a beast! Count me in too…normally fall within the 97 range & since RA I often run 99.4 – 99.8. I get them a few days out of the week and they make me feel soooo crappy….hate them! Good to hear that this is not all in my head! 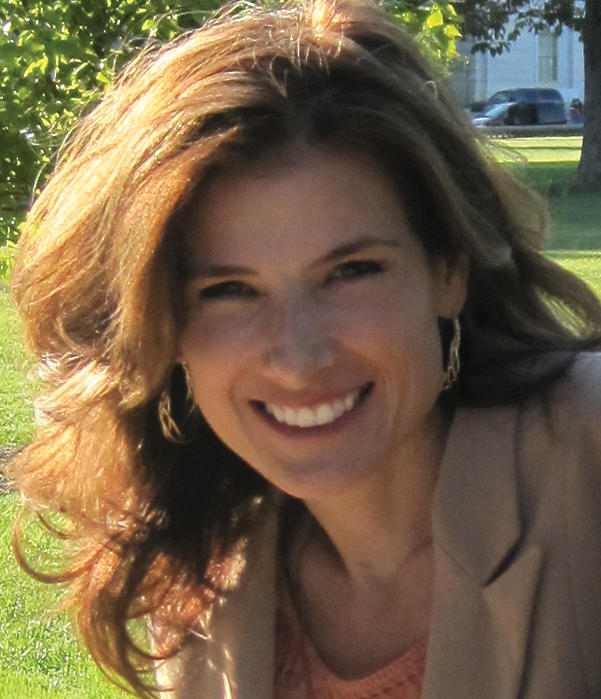 I began having the flu-like symptoms, low grade fever, and joint pain in summer of 2010. Just this month given a dx of RA. I’ve observed that the spikes in my body temperature are concurrent with extreme fatigue, and joint pain/stiffness/swelling. Feels similar to that odd, spacey feeling one might experience at the onset of cold or flu. I am currently without health insurance, and have found it very difficult to get a Rheumatologist to even see me—let alone provide me with quality treatment. I have an appointment on Monday and am curious to see if they will take any vitals; they didn’t at the last visit. Barely even touched or observed any of the affected joints. Dx was provided based on self-reporting, RF of 550, and other bloodwork results. I think I have to be a very assertive consumer—regardless of whether or not I have insurance—in order to get any level of quality care. If they don’t take my vitals, I will be asking why. Jackie, Good “consumer” advice. And, yes, many of the old “lists” of RA symptoms do say “flu-like symptoms” and fever. Many patients also complain of “fog” that sounds like your “spacey” feeling. 19 days ago I began to run a daily fever, ranging from 98.8 to 99.8. I’ve not run a fever throughout the 2-1/2 years I’ve been Dx’d with R.A., Sjogren’s & Fibro. So, since I was on Enbrel and had already fought off a staph infection, I assumed I’d picked up another infection though I had no other symptoms except the usual gazillion symptoms that go along with these illnesses. Rheumatologist said stop the Enbrel and if the symptoms don’t go away, come in to see him. Symptoms worsened — extreme weakness (you know, like when you have a fever? ), exhaustion, sleepiness, acheyness (different from Sjogren’s or Fibro). Went to my PCP, she found a little bit of bacteria in my urine and Rx’d antibiotics. Two days later, symptoms still worsening, fever still going up every day. Went to the Urgent Care center where they tested urine, blood, xrayed chest and sinuses and said everything normal (does that phrase sound familiar to anybody?) but to finish the antibiotics just in case. So, still in bed mostly. Trying to get hold of the rheumatologist. Wondering why the daily fever is just now surfacing when it hasn’t been a component of my R.A. all along. I’m also on a low dose of Prednisone which one nurse told me can mask fever and symptoms of infection. I hope you get an answer, Rebecca. I don’t know whether this is an RA fever of course, but I can say that it’s well documented that RA symptoms do vary between patients and even in the same patient over time. That part sounds weird, doesn’t it? Someday scientists will be able to tell us just why. We discussed this on Facebook today and I was amazed at the replies, so I’m posting the link here in case anyone wants to read that too. I have Ankylosing Spondylitis. I get up at 5 a.m. for work. By noon, I am out of gas entirely and at one o’clock I take a 20-minute nap at lunch. I usually do fall asleep. By 2 or 2:30 I am running a low-grade fever — every day at work. It is always 100.something; occasionally 101.1 or 101.2 but never higher. This fevering every afternoon has been going on for at least a year. It makes me feel unwell; like I am coming down with the flu. Every evening upon arriving home I take a nap. By 7:30 or 8 p.m. I feel pretty good — until bed. What is the fevering telling me? I am on Remicaid for the A.S. and often take Tylenol as well, to ease aching eyes. Can anyone relate to this?